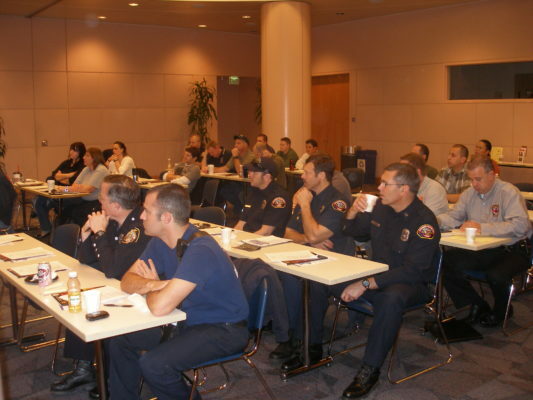 The Firefighters Burn Institute offers a variety of programs for burn survivors and Firefighters. Burn injuries frequently require a lifetime of rehabilitation and medical treatment. Everything from medical treatments to emotional well being, the Firefighters Burn Institute is there to assist those that have been burned. From the Burn Community Cruise, to either of our Burn Camps for children, the Firefighters Burn Institute is leading the way to assist burn survivors. We also assist Firefighters and their co-workers and families when Firefighters gets hurt. Firefighters and Emergency Medical workers are usually the first to respond to the scene when a burn injury occurs. Proper pre-hospital burn care is essential to the proper treatment of burns and the Firefighters Burn Institute has made it a goal to make sure that First Responders get the necessary education on how to treat burns in the field.